I have been asked about a particular topic, and although I am not a political blogger, I do have an opinion from time to time. The topic in question regards Edward Snowden and Bradley Manning, two of the country’s most loathsome criminals in modern history. There, I said it, but for a reason. When a self-serving, narcissistic, anti-American coward will thrust more than three hundred million people into deadly peril for a moment of fame, he is an odious, villainous enemy of the United States of America, not a hero in any sense. The media may be quick to give him the exposure he desires because it sells advertising. But what if we took a different approach? For example, we could refuse to mention the names of individuals who commit such heinous crimes, and levy a sentence that is meaningful and punitive. Instead of fame and notoriety, the reward for such a heartless, morally abandoned individual would be loss of citizenship and confinement to prison for the remainder of his life without the possibility of parole. But not prison on American soil—instead, a tiny cell in Iraq, Afghanistan, or maybe even Siberia would suffice. In fact, such an individual should never be permitted to see a photo of America, or read an article about this great country as they remain hopelessly confined as long as they live. I would like to understand why a man like Bradley Manning is permitted to wear his military uniform while his proceedings are taking place. It is an honor to wear that uniform—an honor of which he should be permanently stripped. Every day, young men and women honorably and sacrificially serve and defend our nation with their lives. They are the ones who deserve to wear a U.S. military uniform, not a coward hiding behind a computer screen. 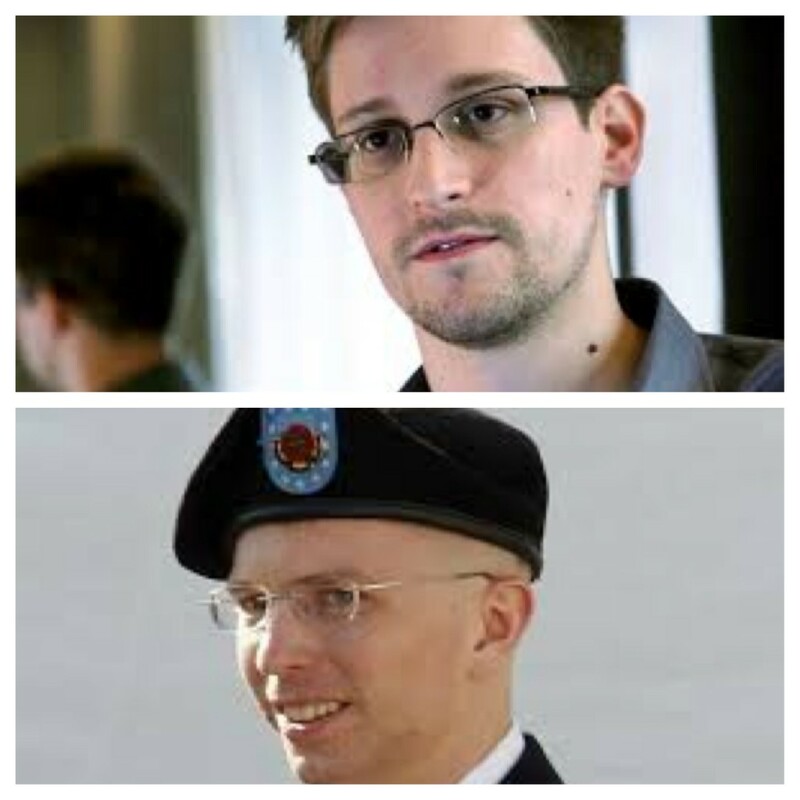 We should also question why Edward Snowden is permitted to choose where he goes next? Let me rephrase that—where he runs like a coward next. Whatever happened to taking treasonous men out of society and punishing them for the crimes they commit? Of course, I realize I speak of political suicide when referring to such an action, but it is not unprecedented. Did Snowden’s father actually stand up on CNN and complain that he didn’t think his son could get a fair trial in America? You can sugarcoat these men’s actions as some have attempted to do, but regardless of the lofty excuses they would have you believe, these men are treacherous traitors with coward’s hearts, and they are enemies of the United States of America. They put you and your family in immediate danger without regard for your children or grandchildren. They should be tried and persecuted for treason. That is the least we can do. But America’s current administration has made one thing clear—they’re willing to be sneaky, but when it comes to doing the tough stuff, they are gutless. Japan, Russia, and now the rest of the world looks at the U.S. as the land of pansies that can threaten and bully, but aren’t willing to pick up a stick. But not because our men and women in the military are gutless–they are far from it. While they’re on the front lines, administrators are deciding if they can use bullets or not, or if they can have the protection they need to survive. I have nothing but respect for our men and women in uniform. I don’t agree with everything the current administration does, but if listening to my phone conversations is important to deterring another 911 plane crash, or gutless bombing of unarmed, innocent children and adults in Boston, I’m fine with that. In fact, they can come and look through my drawers if it helps. I don’t need Snowden deciding what I need to know and don’t need to know. I certainly don’t want that information on the general Internet for our enemies to use against us. Let’s get tough on American treasonous terrorists. They are made from the same mold no matter where they are born. Terror should be an odious act instead of one that portrays the offender as a hero on the cover of Rolling Stones Magazine. This is my opinion, and I can honestly say you asked me for it. Comments: I would truly love to hear your views, for or against. As always, I will delete offensive and snarky, but not just a difference of opinion. Previous: THIS SUMMER — DON’T LET THIS HAPPEN TO YOU !